Appearance: Hashirama is shown with dark tan skin, brown eyes, and long,black hair. In most cases, he is wearing a similar style to his brother and Madara Uchiha; dark red, metal plating armor of that era similar to what samurai wear, ninja sandals, as well as some type of headband on his forehead, whether that is Konoha's forehead protector, or simply a red headband. He has however been seen in both on separate occasions. On each side of the collars of the armor is the Senju clan symbol. While in the village Hashirama was either in the official Hokage garbs or a light brown kimono shirt with mesh armor underneath it held closed with a sash and navy blue pants. Personality:Hashirama was shown to be a very calm and collected person, as well as kind and caring, with a deep sense of loyalty, great charisma and negotiation skill. 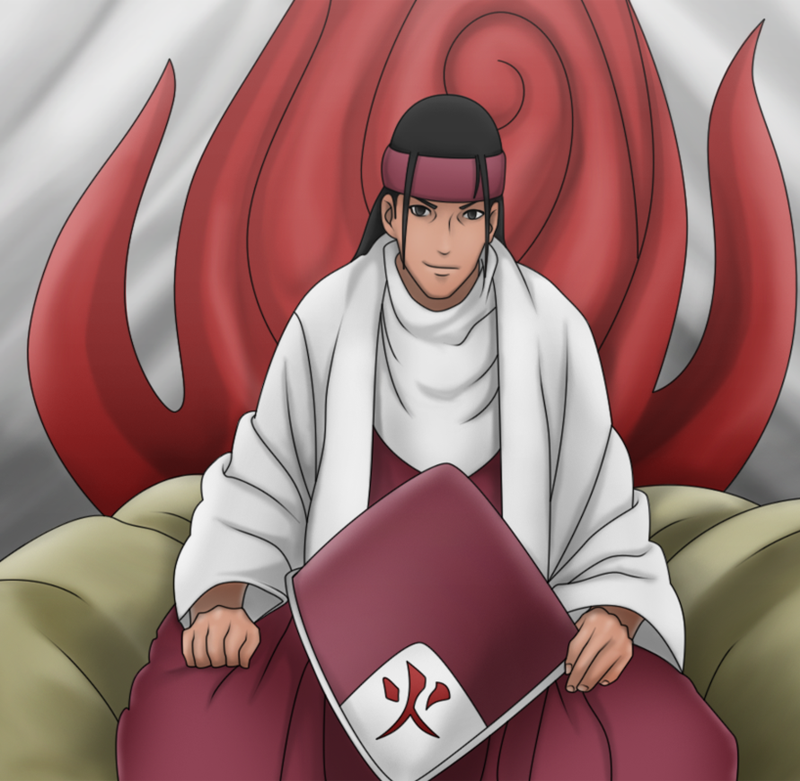 He saw the people of Konoha as a part of his own family, and his legacy took a firm root in the village. He was also shown to be a very wise and insightful man, as he passed on great teachings to Hiruzen. It was he who first believed that all Leaf ninja should show a true loyalty to each other, and that a Kage must be willing to put his life on the line for his village to set an example for all others. This belief of his is known as the Will of Fire. Description: A powerful essence of live that presents the one with it a powerful gift over the earth itself. Being able to strongly influence the earth around them as well as all key elements contained within, the user with this ability is granted a 60% increase in chakra control as well as ability to implement Fire within certain aspects of jutsu pertaining to the Doton element, or combination elements containing a form of Doton. When a Shinobi with this ability is placed in battle, the Shinobi's jutsu is increased by 30% if the used jutsu is of Doton. However with such control and advantages the Shinobi is decreased in speed (Of all natures including hand seal speed.) by 20% simply upon having this ability. Originally known as the signature technique of the First Hokage, this powerful technique requires only the clasping of the hands to initiate it's power. Using one's very own chakra as a life source, the user of this technique is able to create, simply from the soil or ground around them a vast array of massive trees that can quickly swarm into a forest gaining a maximum range of 120 yards. The created trees, surged through the power of the user's chakra is able to change the structure of a battle area as well as influence the land beneath the trees to quickly spawn more sub-sized trees wherever needed. Because the trees are created from the power of the chakra coming from the user, they are under the complete control of the one that casts it making this technique excessively lethal if needed. However a downside to this technique is that all offensive properties that the trees could be used for are to be executed during tree generation. This is because once the trees have been generated fully and successfully- taking a maximum of 2 posts in which the offense can be done- the trees will remain stationary not being able to be used as a weapon. Chakra influence however is easy to advantage, since every fiber of the tree possesses the chakra of the summoner and therefore carry all the user's properties of use. By sending chakra into the ground, the roots of the plants are converted into raw materials. This technique allows for a building to be constructed, by forcing accelerated growth. Just like with the Four Pillar Prison Technique, the size and shape of the building are taken from the user's imagination or memories. By placing fuda around the house, the user creates a barrier, making it impossible for the enemy to detect it and allowing the user to "camp" in peace. The building created by this technique however is unable to have any properties of battle whatsoever. Requirement: Mokuton as first element. A powerful technique only usable to those who have mastered the Mokuton style techniques. This technique allows - with the motion and use of chakra for each gesture- the user to control a quick generation of roots under the ground in front, to the side, or behind them to generate a miniature tree with resistance harder than many steels today. The quick generation of trees in this technique allow the user to use this technique to act as defense against projectile weapons as well as physical attacks. The generation of these miniature trees will only grow large enough to cover the body of the caster (at maximum) and will not defend against certain jutsu attacks. This technique is unaffected and cannot be destroyed by any technique of the water and earth chakra natures, however will dispel instantly upon the first use as the defense will not stay for very long. Excess chakra is needed to focus at a point of generation and due to this, this technique can only be used every other post. A fearful power that momentarily encases the user in a golden aura of chakra increasing their strength and chakra control by 70%. For this one post and one post only, the user is able to generate trees from the ground at an excelled rate without much trouble as while simultaneously sustaining combat with one or more opponents however, the user is expected to expel all gifted power within this post in one powerful strike to the ground to initiate the jutsu. Upon the striking of the ground, the user will instantly lose the aura around their body sending the power they received into the earth generating in the blink of an eye a 50 yard oasis, complete with trees as well as lakes or rivers within. Unlike other techniques, using the Mokuton in this way will give no control to the user whatsoever over the oasis. 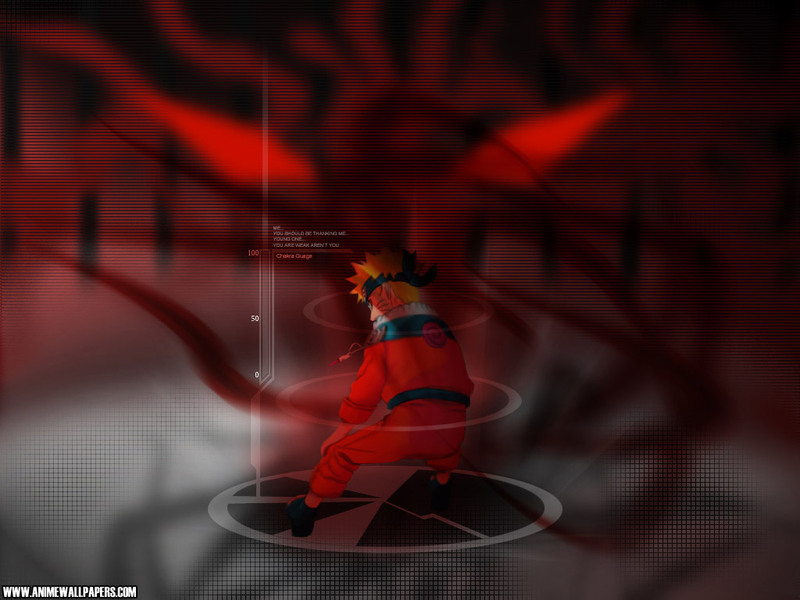 Jutsu influence is also unavailable in this technique, due to this, most use the time limit to inflict severe damage within their time frame before the aura disappears. The increase will take approximately 4 post to recover and be ready to be done again. Background:Hashirama was originally the leader of the Senju clan. Under his leadership the Senju clan came to be regarded as one of the two most powerful clans in the world, rivaling the renowned battle-oriented Uchiha clan. Because of this, when someone hired the Senju clan, the opposing side would hire the Uchiha clan and vice-versa, causing frequent battles between the two. Eventually growing tired of the constant fighting, Hashirama and his clan approached the Uchiha and offered a truce with them. Allied with Madara and his clan, the two groups founded Konohagakure. Hashirama Senju as the First Hokage. When deciding who should become the leader of Konoha, the villagers selected Hashirama over Madara for the title of First Hokage. Fearing that Hashirama would oppress the Uchiha, Madara left the village, and challenged Hashirama's rule. After an intense battle that included the Nine-Tailed Demon Fox, Hashirama's wife Mito became the first Nine-Tails jinchūriki by sealing it within herself. In the aftermath of their battle, Madara was believed to have been killed, and the Valley of the End was created. To commemorate the battle, two statues, of Madara and Hashirama, were carved into the earth surrounding the valley. During his time as Hokage, Hashirama came into possession of a scroll filled with kinjutsu, which he sealed away in order to keep the jutsu within a secret. He also defeated Kakuzu, who had been sent to assassinate him by Takigakure. At some point, Hashirama gained control of several tailed beasts. He spread these beasts to other, newly-formed villages in an attempt to maintain peace and equalize the powers between the nations, but it did not stop the outbreak of the First Great Shinobi World War. Thinking about the future of Konoha, he and his younger brother, Tobirama Senju, trained the young Hiruzen Sarutobi. Hashirama would eventually die during the war, but not before passing on the title of Hokage to Tobirama. Sometime after Hashirama's death, Orochimaru experimented with Hashirama's DNA. Desiring Hashirama's unique abilities, Orochimaru exhumed the Hokage's body and infused sixty child test subjects with his DNA, hoping that one would prove able to use Wood Release. Only Yamato survived the process. Danzō Shimura's right arm has also been infused with Hashirama's DNA through a similar experiment with Orochimaru, in the hopes of controlling the powers of the Nine-Tails, as well as to increase his physical energy to maintain the ten Sharingan embedded on his right arm.